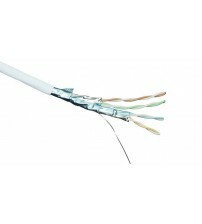 We stock thousands of boxes of CAT6 cable and usually deliver next day. 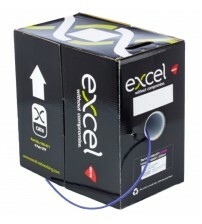 We have all major networking brands including Nexans and Excel. 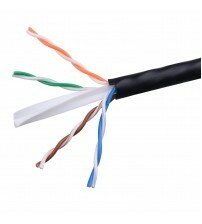 If you cant find the brand or the cable you are looking for please contact us. 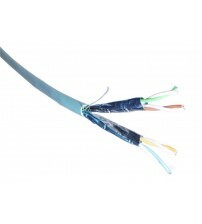 Looking for Terminated Cat6 patch leads? 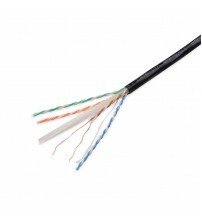 - Solid core conductors allow the cable to be run long distances while maintaining performance, but reduces the number of times it can be flexed. 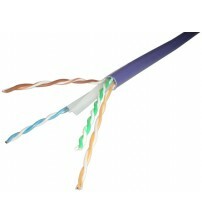 This makes solid cable perfect for permanent installation where the cable will not move much once installed. 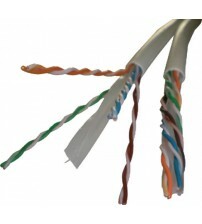 - Stranded core is used for making flexible patch cables.This flexibility allows it to be flexed many times with no negative effects on performance over short distences making it perfect for building patch cables. 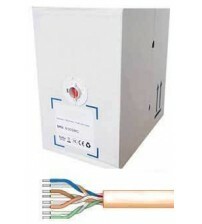 - PVC sheath is the standard for installation with no special requirement and it is used for internal installations, PVC cable when burned creates harmful halogens that can be posionus this sheathing should not beinstall in public buildings. 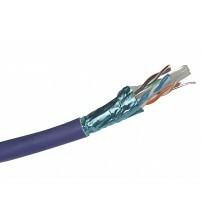 - Cat6 External Grade is in Polyetheleyne (PE) jacket for use in outdoors applications. It is designed to be waterproof and UV resistant. - Low smoke zero halogen (LSOH or LSZH) outer jacket adds security in case of fire as the fumes generated from low smoke cables are less harmful than PVC or PE outer sheaths.